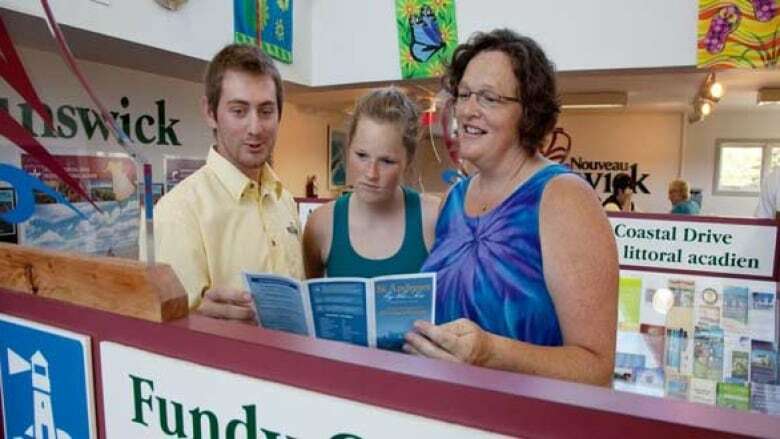 The New Brunswick government's decision to close two visitor information centres as part of its tourism budget cuts could backfire, says an employee who lost her job. Nancy Oulton, who was the supervisor at the iconic A-frame visitor information centre in Aulac, says despite what people might think, not everyone gets their tourism information online. "The really interesting thing for me, from my vantage point, as being a front-line, face-to-face person who's getting first-hand and current knowledge as to who's coming into the centres is that we were seeing a lot more 30-somethings and 40-somethings, let's say, travelling with their families who were totally unplugged," said Oulton. "They were telling us, 'We live our life from the moment we wake up until we go back to sleep again with a device,'" whether it's a personal cellphone, work cellphone, laptop or iPad. "And they said, 'You know, we're too technically driven all the time. "So they wanted their paper maps and they wanted face-to-face." But the Higgs government announced last month that it's closing the visitor information centres at two entrances to the province, in Aulac and Woodstock, in a bid to balance the provincial budget. Marketing will also be reduced as part of $7.4 million in cuts to the tourism budget, which has been reduced to $12.8 million. Oulton said staff knew changes would be coming with the tourism budget being slashed by 37 per cent, but they were anticipating reduced hours of operation or the season being scaled back from the usual 19 weeks. 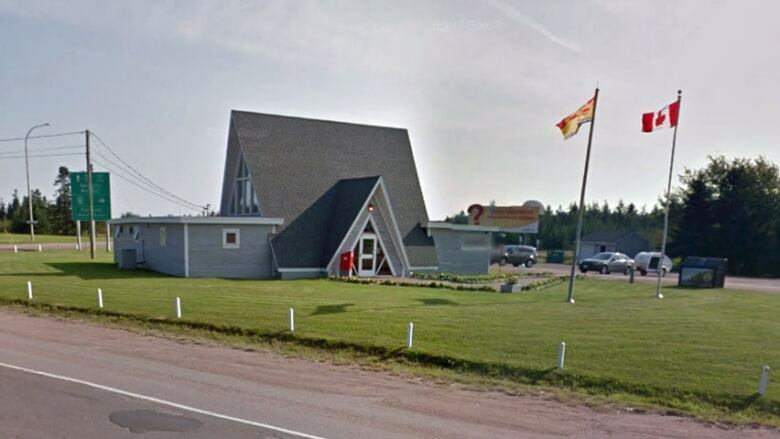 "But to close us, no, I didn't see that coming whatsoever," said Oulton, who relocated to the Aulac visitor information centre three years ago after the Cape Jourimain centre, where she had worked for 13 years, closed because of budget cuts. The Aulac centre, which had a total of five employees, was "busy," said Oulton, unable to disclose exact statistics, citing confidentiality. "I think we were as busy as some of the other centres that are still open." In addition to the "unplugged" families, Oulton said the Aulac centre saw a lot of seniors, Europeans and Americans, who may not have smartphones or access to the internet, depending on their service providers. Even those who do, she said, are going to miss out on the "hidden gems" off the beaten path that the staff with years of experience know about — the little mom and pop places, the best ice cream stands, the local fish markets with the best fresh clams or lobster. "We would tell them, 'Take this side road, it's going to get you to your destination, but come off of the highway, get in and out of those small little communities,'" she said. "They really appreciated, enjoyed to know that they mattered to us and we took it very personally to give them the best service we possibly could." Oulton feels the government's decision to hire a tourism consultant shows the premier and minister of tourism, heritage and culture didn't value the experience of staff. "We were the most passionate in-house experts [they] would ever find." Yennah Hurley will earn between $150,000 and $175,000 a year, the salary range of a deputy minister, as Premier Blaine Higgs's hand-picked expert. Her mission during a two-year consulting contract is to help civil servants in the department embrace new ideas for attracting visitors. She will report directly to Higgs.